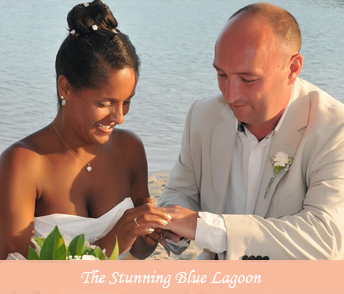 Welcome to Beach Weddings Carole Cyprus FAQs, where your questions get answered. Please find answers to your FAQs. Should you find that your question is not listed below in our frequently asked questions section, please feel free to contact us and we will be happy to assist you with your query. 1Will our wedding be legally recognised in the UK? Yes. Your marriage will be legal in accordance with British law and will be registered in your country of marriage. Your international marriage certificate is proof that you are legally bound by law, as if you had been married in the UK. 2Can we alter the wedding package to suit our requirements? You can leave out any item within the package you don't require and a reduction in price will be quoted. Also you can add any other items to the package and we will quote you for this. All final decisions including any colour scheme will be yours. 3What happens when we arrive? As soon as is convenient for you, we will meet you prior to your wedding day to discuss your plans and to finalise all your requirements. itinerary, menu etc. 4Where do we actually get married? If you choose to marry on the yacht, the registrar boards the boat before you arrive, the yacht then sails to the ceremony destination. The registrar is then returned to land via speed boat, whilst you and your guests continue with your festivities. The beach wedding ceremony is held on the beach with the registrar in attendance. 5Do we receive a Marriage Certificate? Yes you will receive a marriage certificate as soon as the ceremony is completed. 6Is the ceremony a religious or civil ceremony? All of our legal weddings are civil ceremonies and are short informal services. You are free to add readings, poems or your own vows after the official ceremony is completed. Please arranged with us beforehand so we can ensure the Registrar is aware of the running order. 8Do we need the witnesses present? Yes. Your two witnesses must be present throughout the ceremony. They must be over the age of 18 and not have the same surname as either of you if marrying in Turkey. If you do not have witnesses that match this criteria, witnesses can be provided for you at no additional cost. 9What is the best day to get married? Any day you wish including weekends. The wedding season starts on the 1st April and ends on the 31st of October each year. 10What is the best time to get married? 12What besides the legally required documentation should we bring with us? Besides your normal holiday needs and your wedding outfits and rings nothing else is required. 13What choice of food and music is available? An open buffet BBQ can be provided and the menu is up to you within reason, but normally includes steaks, fish, chicken, pork and meatballs depending on location. This is served with potatoes, salads, rice, pasta etc. The menu will be discussed when we meet on after your arrival as well as your preference for any music, either using our CDs or bring your own or IPOD or hire a DJ for the evening. There ıs a professional music system with quality sound and a microphone that can be used for speeches if required. 14Will my wedding consultant be present during the ceremony? 15Can we swim from the yacht or the beach? 16Can we have the photographer and videographer for a longer time than is included in the wedding packages? Once you have decided on your date and we have confirmed availability, a deposit, (price depending on venue) is payable into our UK bank account. 18What are the payment conditions? The non-refundable deposit is due to secure your date. Full payment of your package is due 3 working days before your ceremony in Turkey and Cyprus. This can all be paid by online bank transfer. If you need to postpone your wedding you can change to another available date up to the 31st of October 3 years after the date of your deposit payment. Any payments made are non-refundable.